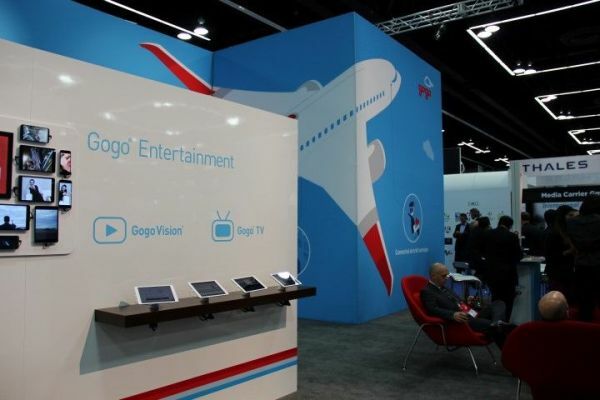 American pulled the plug on sluggish air-to-ground cell tower connectivity and sought to end its agreements with Gogo in favor of faster internet access provided by Viacom in February. Things have calmed a little when American dropped a pending lawsuit and Gogo agreed to compete in a tender to upgrade American`s domestic fleet, mostly Boeing 737 aircraft. The contract affects about 200 American aircraft equipped with Gogo air-to-ground (ATG) technology operating at peak data speeds of 9.8 megabits per second. "We will fight for every plane", vowed Gogo CEO Michael Small. The company will likely offer its cutting-edge satellite-based "2Ku" dual-band connectivity to American, which offers speeds up to 70 megabits per second and might become even faster in the future. The technology will be available on 250 Delta aircraft in the next years. In total, more than 800 aircraft have been committed to 2Ku so far. "We are ramping-up installations and expect to have most of those aircraft installed by the end of 2018", said Small. With the boost from satellite-network technology, Gogo hopes to increase its annual revenues from 120.000 to 1 million USD per aircraft over the course of the next 20 years.